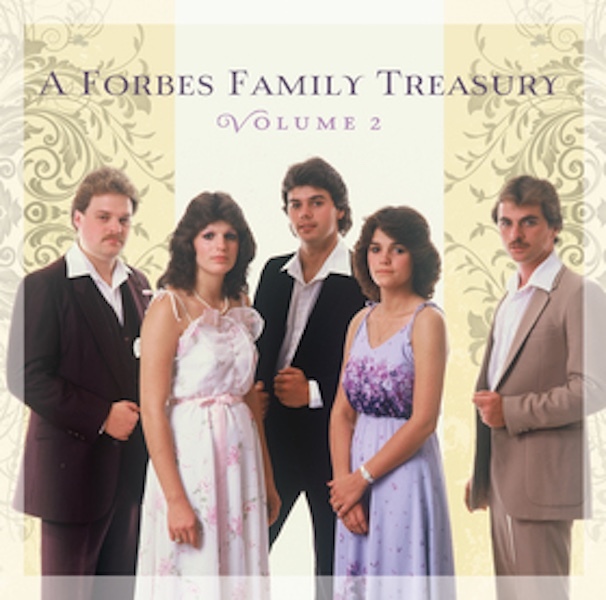 Rebel Records has announced the release of A Forbes Family Treasury, a mammoth two-volume retrospective on one of the great family groups of Bluegrass Gospel music. Rebel Records tells us that the 36 songs featured onA Forbes Family Treasury represent the best of the group’s earliest recordings for Rebel during a three-year period between 1984 and 1986 (the group would later “come out of retirement” to record two more albums for Rebel in the mid-1990s). Many of the tracks here are available again in CD (and now digital) format for the first time in over 10 years, while six of the songs (three on each volume) had been previously unissued until now. The physical and digital versions of A Forbes Family Treasury will officially release Friday, November 6th. It has been said many times that family groups have that special sound in their singing. It’s a closeness and warmth in their harmonies that is difficult to duplicate. The Forbes Family is a perfect example of this general truth. The Forbes produced some of the loveliest harmonies you will ever hear, sung with a tasteful, gentle humility that is rare today in music and in life in general. Their selection of material was unmatched, and their arrangements of songs were never showy but always appropriate and tasteful, with a good part of their repertoire featuring difficult a cappella songs that they sing to perfection. The four members of the family, Homer, Jay, Lori and Lisa, had developed their singing style at very early ages. They were influenced by the work of The Marshall Family, The Country Gentlemen and Doyle Lawson, among others. What was unusual was the fact that they were born and raised in central Pennsylvania, not in the usual traditional bluegrass hot beds of the Mid-Atlantic and Southeast. But Harrisburg and central Pennsylvania were in fact a major market for Southern Gospel, and the Forbes Family learned some of their material from high-profile, nationally known groups like the Florida Boys and The Happy Goodman Family. They later adapted some of these songs to a more Bluegrass style. Homer Forbes was the leader of the band, playing the banjo and fiddle and singing lead and harmony vocals. He was followed in age by Lori on acoustic bass harmony vocals, Jay on mandolin, Dobro and bass vocals, and finally Lisa, the group’s soaring lead singer. The guitar player on these recordings was also the only non-family member of the band, Tracy Keenan. He worked with the Forbes Family from their early days in Pennsylvania up through the late 1980s. The group began singing together in 1977 when they were in their early teens, and they were only 17, 18, 19 and 20 respectively when they moved to North Carolina in hopes of gaining further experience and exposure in one of the key markets in the country for Bluegrass gospel music. A few regionally released projects generated considerable publicity for the band and brought them to the attention of the famous Easter Brothers of Mount Airy, who would soon help them land a contract with Rebel Records. 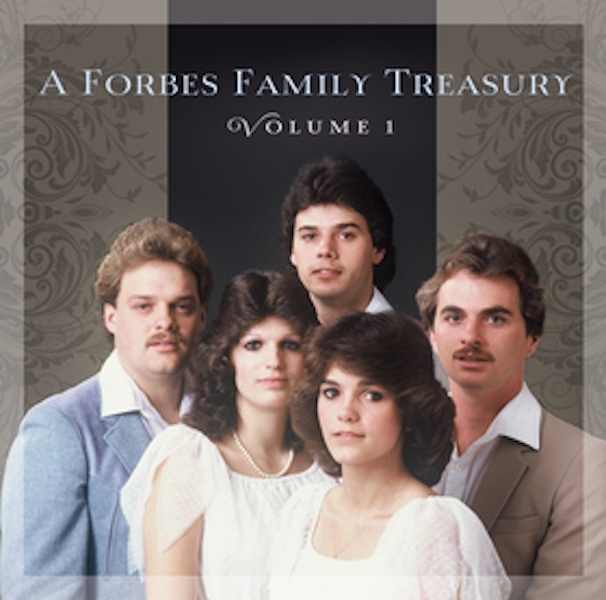 The Forbes Family would go on to release four albums for Rebel during the mid to late 1980s, and it is from those spirited recordings that the songs for these two volumes were chosen. This anthology features a beautiful selection of songs from a wide variety of sources—from older classics like “The Prettiest Flowers Will Be Blooming,” the a cappella “Gloryland” and the lovely “Gleams of That Golden Morning” to several excellent contemporary pieces like Claire Lynch’s “Come Unto Me,” “The Other Side of Life” by Alan O’Bryant and the Dolly Parton favourite “Sacred Memories.” Ron Block, the versatile banjoist/guitarist with Alison Krauss’ Union Station and a longtime admirer of The Forbes Family, adds a praising tribute to the group with his poignant liner notes. Although they appeared on Garrison Keillor’s Prairie Home Companion and were sought for overseas tours and various festivals, The Forbes Family gave up extensive traveling in the late 1980s in order to raise their own families. However, they have left us with a wonderful legacy of superior recorded material, much of it included on these two compilations. This was a special kind of group that comes along only once in a long while.